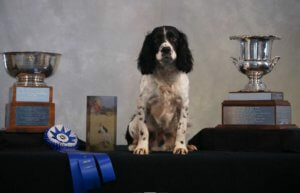 Here at Newstarrt Kennels we strive to breed the best to the best. Quality begets quality. Newstarrt Kennels is the recipient of the 2017 Breeder's Cup. Breeder's of the 2017 US National Amateur Field Champion. Pheasant Feathers Jaxx of Tazzman. Jaxx has proven himself in Canada and the US. Jaxx was the Canadian 2015 High Point Dog and the US 2017 National Armature Field Champion. 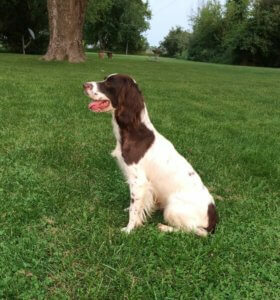 Jaxx also won the January 2019 Open Field Trial at the Missouri Hunting Club. Roxy is a well built dam that has produced a number of nice dogs. 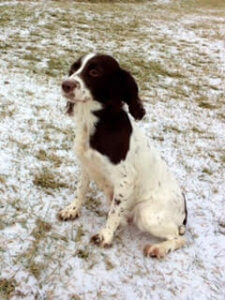 Roxy is great in the field as well as a great house companion. 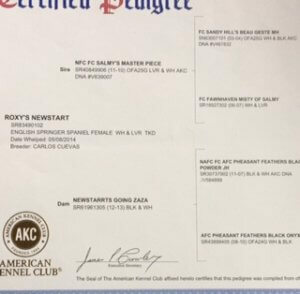 Roxy's sire is NFC, FC Salmy's Master Piece. Cliff is a 2019 inductee in the Hall of Fame.